I mean … what should you actually pray about? What do you say? Is there anything you should or shouldn’t say? Do you have to speak out loud? Where do you even start? To make matters worse, we’ve heard about prayer for so long that we feel awkward asking about it. It’s like having to ask a person’s name after knowing them for years. Because we really should know their name by now, we feel embarrassed to ask. Then comes the reality and craziness of life. Between work, changing diapers, walking the dog, a full inbox, trying to keep up with our neighbors … and the laundry, who has time to pray? It’s like talking. Talking with a good friend. And what we may not know is the best part: no matter where we are in life, God can’t wait to talk with us. I’m asking the same questions. Even though prayer is simply talking to God, sometimes its difficult to know just the right thing to say. And sometimes during difficult time our hearts just don’t know what to say. This book does a really good job of helping get through those times when we have problems with just what to say. They use many examples of different people in the Bible who have prayed, and the outcome of their prayers. One that I identify with so much is David. Psalms is a wonderful place to read David’s conversations with God. Being reminded of some of these verses while reading Talking With God was encouraging to me. There are many more tips and ideas for help with your prayer life. Sometimes reading these thing in a book is just what we need to boost our prayer life. I plan to use this book as a devotional, going through a few pages at a time. It can also be read straight through. Really any way you want to use it. I would highly encourage you to pick up a copy of this book for your prayer life. Even if you have a healthy prayer time with God, this can help make it even better. I received this book from Blogging for Books to read and review. I was not required to write a positive review. The opinions I have expressed are my own. I am disclosing this in accordance with the Federal Trade Commission’s 16 CFR, Part 55. Now in paperback, Tune In is the New York Times bestseller by the world’s leading Beatles authority – the first volume in a groundbreaking trilogy about the band that revolutionized music. The Beatles have been in our lives for half a century and surely always will be. Still, somehow, their music excites, their influence resonates, their fame sustains. New generations find and love them, and while many other great artists come and go, the Beatles are beyond eclipse. So . . . who really were these people, and just how did it all happen? ‘The Beatles story’ is everywhere. Told wrong from early on, rehashed in every possible way and routinely robbed of its context, this is a phenomenon in urgent need of a bright new approach. In his series All These Years, Mark Lewisohn – the world-recognized Beatles historian – presses the Refresh button to relate the entire story as it’s never been told or known before. Here is a full and accurate biography at last. It is certain to become the lasting word. Tune In is book one of three, exploring and explaining a period that is by very definition lesser-known: the formative pre-fame years, the teenage years, the Liverpool and Hamburg years – in many ways the most absorbing and incredible period of them all. The Beatles come together here in all their originality, attitude, style, speed, charisma, appeal, daring and honesty, the tools with which they’re about to reshape the world. It’s the Beatles in their own time, an amazing story of the ultimate rock band, a focused and colorful telling that builds and builds to leave four sharp lads from Liverpool on the very brink of a whole new kind of fame. Using impeccable research and resources, Tune In is a magisterial work, an independent biography that combines energy, clarity, objectivity, authority and insight. The text is anti-myth, tight and commanding – just like the Beatles themselves. Here is the Beatles story as it really was. Throw away what you think you know and start afresh. If you are a Beatles fan, you need this book! Mark Lewisohn was hired to do an amazing job, to listen to every Beatles recording session tape that existed and catalog them. And this is what this book is. It has everything The Beatles recorded. I grew up during The Beatles era, so I love this book. I sat for hours and hours just reading through this book. Its fantastic and has a host of information. Some of the songs I had forgotten about, and it was nice to refresh my memory again. This is the book you want to add to your Beatles collection. This first book in this series, Ties That Bind ended with Ariana Brenneman and Skylar Nash going to live with their biological parents. Skylar’s parents were not together, so she had two families to get to know. As well as doing everything on the lists that her parents had for her to complete. One the other hand, Ariana Brenneman did not care for her biological parents and their lifestyle. She didn’t want to live without electricity and everything that goes with that, including cell phones and internet. This series deals with the harsh situation of babies switched at birth. These two young ladies were from completely different lifestyles, so it makes for an amazing read. My heart went out to both ladies, because neither of them wanted to change their way of living. But as I followed their story in Fraying at the Edge, it was interesting to see the changes in Ariana and Skylar, the longer they stayed with their biological parents. Cindy Woodsmall does an amazing job of weaving together each family and the interaction between the two. I read this book in one setting, because I had to find out what happened to these young ladies I have grown to love. I simply can’t wait for book three to hit the shelves. This is such an amazing series I plan to keep this series on my shelves and read it again. 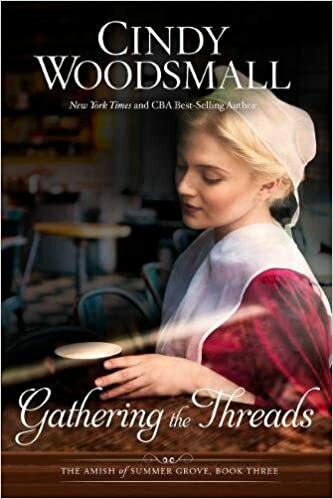 Ms. Woodsmall puts a different twist to her Amish stories that makes them different from all other. 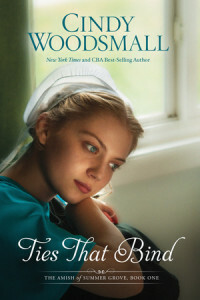 If you enjoy Amish fiction, Fraying at the Edge is one you need to check out. And don’t forget the first book in the series as well, Ties That Binds. I just can’t say enough about this wonderful book and series! I received this book from Blogging for Books to read and review. I was not required to write a positive review. The opinions I have expressed are my own. I am disclosing this in accordance with the Federal Trade Commission’s 16 CFR, Part 55. Wow, this is an amazing story! I fell in love with the characters early in the story. I loved the way Ms. Hauck interweaves Cora and Haley’s stories, and though one was historical and one modern, the story was beautiful written in a way that made me crave more of each character. I couldn’t put this book down because I wanted to find out what was happening with each lady. Cora was the sweetest young lady with a lot of disappointments and heartaches. Rufus, well I just wanted to give him a piece of my mind. And Birch was a sweetheart, a man every women dreams of. Haley was independent like Cora, and wanted to open the Wedding Shop, despite what her parents thought. She was determined to try and forget her ex forever. And I really liked Cole as well. He has his share of disappointments and heartaches too. And I love the way Rachel Hauck interweaves the stories of these four characters in an amazing way, weaving together their dysfunctional lives with their faith in the Lord. And she shows that even though our lives don’t turn out the way we want, and despite the heartaches and disappointments we may go through, Jesus will always be there in us and with us. And He can take all of our baggage and make something beautiful from it all. 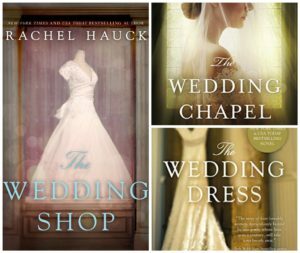 The Wedding Shop is another beautiful story from author Rach Hauck. I highly recommend this book for anyone who enjoys a good clean heartwarming read. And if you haven’t read The Wedding Dress and The Wedding Chapel, I encourage you to check out these two books as well. Whether hosting a party, helping out with a friend’s wedding, or wishing to incorporate the beauty of flowers into everyday life, The Flower Workshop allows you to create dazzling arrangements that go beyond merely pretty and into realms of the dramatic, the unexpected, and sometimes even the magical. Written by a celebrated floral designer and lavishly illustrated with full-color photography, this book not only provides step-by-step instructions for more than forty-five stunning floral projects from simple to spectacular, but also equips you with the skills to customize arrangements at home. This is a beautiful book inside and out. I love the beautiful flowers on the cover. This book would sure stand out on any bookshelf or bookstand in a store. If you are into flower arrangements, or decorating with flowers, this book would be an awesome choice for you to pick. It is hardbound, so it is more durable while you are working with it. The fifty flower arrangements taught in this book are amazing, and I might could do a decent job of doing an arrangement after going through this book. No only does she show you how to do these 50 beautiful arrangements, Ms. Chezar gives you enough tips and ideas that you will be able to make your own arrangements. It may take a little time, and going back to the book for help at first, but the more you work with the flowers, the easier it becomes. 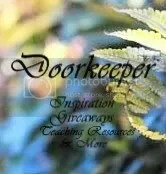 This author leaves nothing out, she gives you full instructions, the kinds of flowers, what is in season when, and tells you the tools you need to make your flower arranging successful. And I can’t leave out all of the full color pictures. They are simply gorgeous. This is a book you can have fun just looking through over and over again, just to see the beautiful pictures of the flowers. Neva Shilling, this lady went through things no women should ever have to endure, but she comes out being one of the strongest women around. And I know this is pure fiction, but there is probably a real life story somewhere that this has happened. Neva thought she had a comfortable life, running the Shilling Mercantile while her husband travels with a wagon full of items he is selling to make even more money, or so Neva thinks. 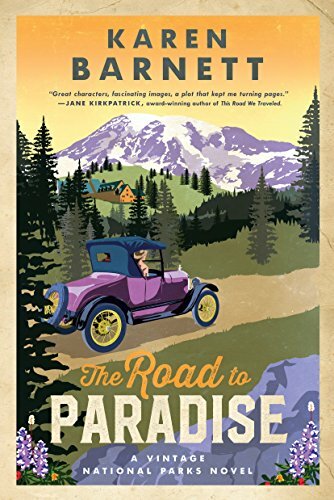 her life fall apart completely when a wagon pulls up, Neva and her children thinking that their husband and dad is returning from his travels, only to find out that her husband Warren and his wife have died, requesting that Aunt Neva raise the three children they had together. What? Neva is his wife isn’t she? But then Neva realizes that her husband’s extended travels were not to sell items, it was to live with his other family. My heart ached for this poor lady so much. Everyone wanted her to give these three children up to foster care, and Neva did think about it. But this children were innocent, thinking they are now living with their Aunt. This is when you want to ring the mans neck, but then he’s already dead. Kim Vogel Sawyer is one of my very favorite authors because she makes the pages of a book come to life before your eyes! This was just like a real life story, and I felt like I was living right in the middle of Neva and her problems. Trying to imagine how she felt giving up all of the extravagant gifts back she thought was hers to keep. The secrets this man Warren had! I simply can not wait to read what is next from this awesome author. 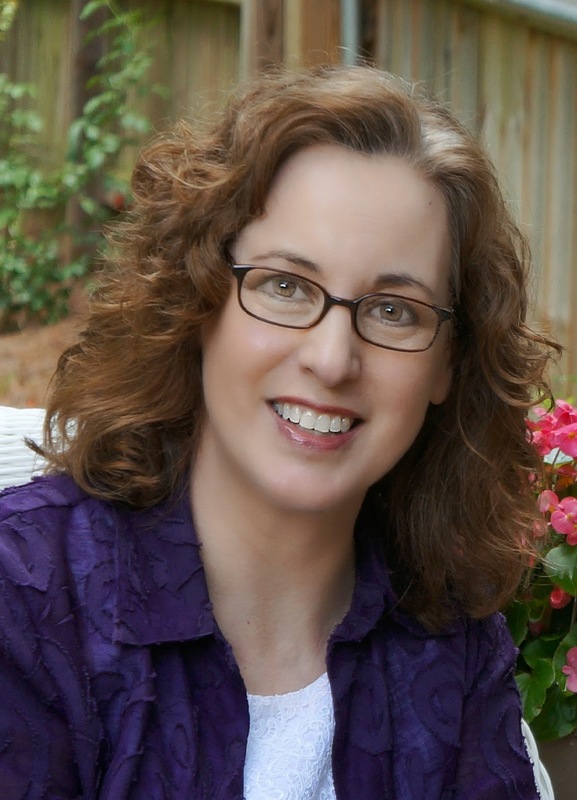 Kim Vogel Sawyer is the author of nineteen novels, including several CBA and ECPA bestsellers. Her books have won the ACFW Book of the Year Award, the Gayle Wilson Award of Excellence, and the Inspirational Readers Choice Award. Kim is active in her church, where she leads women’s fellowship and participates in both voice and bell choirs. In her spare time, she enjoys drama, quilting, and calligraphy. Kim and her husband, Don, reside in central Kansas, and have three daughters and six grandchildren. She invites you to visit her Web site at http://www.kimvogelsawyer.com for more information. Adult Coloring Books have made it to the Christian market! This beautiful book is filled with inspirational pages that would be wonderful to use with your quiet times with God. 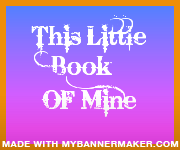 All 46 pages are filled with beautiful pictures and Scripture or quotes to go along with the picture. Each picture will help you as you worship the Lord which you color. I liked the ideas the publisher suggest to use these coloring books in a group, coloring together, worshiping and praising the Lord as you color. This would give you a peaceful joyful time with your friends. I highly recommend this new trend sweeping the country today in the form of books and crayons, markers or whatever you wish to us. Five years have gone by since Quill and Frieda jumped the fence, leaving Quill’s girl Ariana behind, hurting because of the betrayal of her boyfriend and best friend. Then Quill shows back up in Summer Grove. It was kind of difficult sometimes to follow what was going on because the reason for Quill and Frieda leaving was so secretive, it didn’t make a lot of sense. The story gets interesting when Ariana’s parents come to Quill because they suspect their baby was switched with an Englischer’s baby at the time of birth. Resulting I a lot of tension and unanswered questions. Questions that only Quill could find out. This part of the story was so very interesting I couldn’t put the book down, because I wanted to see what happened to these two young ladies. I sure hope there is a book two coming soon because the book ended in the middle of the story, leaving me hanging off a cliff! Can’t wait to see what happens with these two young ladies! Gain wisdom from a legendary royal! Longing to deepen her understanding of God’s ways, the queen of Sheba traveled to Jerusalem to sit at Solomon’s feet. 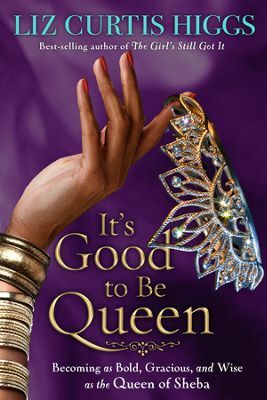 In It’s Good to be Queen, Liz Curtis Higgs invites you to join this celebrated woman as she learns how to be bold, seek counsel, admit wrongdoing, and above all else, to honor the King of Kings. Includes Discussion Questions for a single session discussion, and an in-depth Study Guide for multiple session groups. Paperback. Be bold and take frequent leaps of faith. – This chapter is awesome, one that I really, really needed in my life at this time. Be open to whatever God has prepared for you. 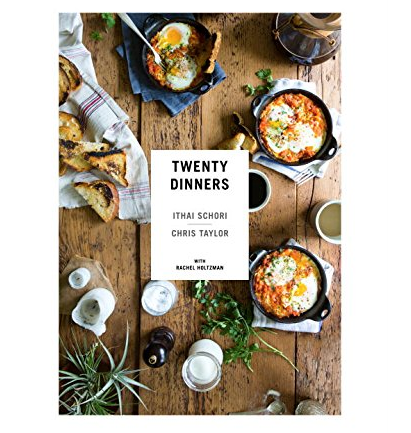 Twenty Dinners is a different kind of cookbook than any I have seen. Each group of recipes are centered around an entire meal, even the drinks. Ithai Schori and Chris Taylor take their cooking skills and their loads of experience and put them between the pages of this beautiful hardcover book. They make it easy because there is virtually no meal planning. Its all there for you. I don’t know that I would do the exact meal, but then I might. But it would be easy to substitute things that you don’t have or things your family doesn’t care for. The book is beautiful inside and out. This would be perfect to display in your kitchen, even when you are not using the recipes. But I will say, the recipes in here sound delicious! And I am excited about trying some of the different things here. And oh, if you are a cookbook collector, or if you just like to sit and look at cookbooks, then you need to add this to your collection, because it is different and unique! Blogging for Books sent me this book to read and review. I was not required to write a positive review. The opinions I have expressed are my own. I am disclosing this in accordance with the Federal Trade Commission’s 16 CFR, Part 55. This is the best series! I just love Kim Vogel Sawyer, she is by far one of my favorite authors of all time! Alexa is now running her B&B, Grace Notes at her grandmothers house. when Anna-Grace needed someplace to stay while visiting family, Alexa agreed to let her stay at the B&B, despite how difficult it would be. Even though Anna Grace didn’t know the truth about her real mom, Alexa and her grandmother knew. And the there is hotshot Chicago reporter Briley Forrester nosing around trying to find out all he could about the Amish, things would get very testy at the B&B. My heart went out to Alexia because of her insecurity, but I don’t think she had a reason to be, because her grandmother was truly crazy about her. And Alexia had been a joy to the older woman’s life. The entire story is full of tension because of the close quarters in the house with the two young ladies and the grandma there. And Briley added more tension as well as fun to the story. You had to like Briley, even though he was annoying at times. You just have to read the this book to get the full effect. And I agree with other reviewers that several issues was left hanging, but I hope the third book in this series will take care of this. 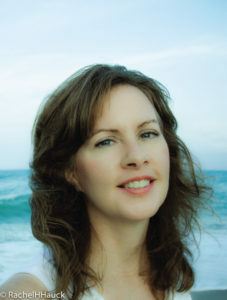 Kim Vogel Sawyer is the author of twenty-nine novels, including several CBA and ECPA bestsellers. Her books have won the ACFW Book of the Year Award, the Gayle Wilson Award of Excellence, and the Inspirational Readers Choice Award. Kim is active in her church, where she leads women’s fellowship and participates in both voice and bell choirs. In her spare time, she enjoys drama, quilting, and calligraphy. Kim and her husband, Don, reside in central Kansas, and have three daughters and nine grandchildren. After reading book one in this series, I will excited about reading When Grace Sings. Alexa is now running her B&B, Grace Notes at her grandmothers house. But she never thought she would be hosting her cousin, Anna-Grace Braun. Though Alexia knew the truth about what happened years ago, Anna-Grace had no idea. So when Alexia agreed to host Anna-Grace at the B&B, she was the one that had no idea how she could be in the same house together with Anna-Grace. And with hotshot Chicago reporter Briley Forrester nosing around trying to find out all he could about the Amish, things would get very testy at the B&B. Another Kim Vogel Sawyer book that I love! My heart went out to Alexia because of her insecurity, but I don’t think she had a reason to be, because her grandmother was truly crazy about her. And Alexia had been a joy to the older woman’s life. The entire story is full of tension because of the close quarters in the house with the two young ladies and the grandma there. And Briley added more tension as well as fun to the story. You had to like Briley, even though he was annoying at times. You just have to read the this book to get the full effect. And I agree with other reviewers that several issues was left hanging, but I hope the third book in this series will take care of this. Hope Crossing…where Ada’s House stands as a haven for weary souls looking for kindness, faith, and second chances. Two very different women are pulled by their strongest desires. Deborah Mast joined the Amish church and longs to marry her fiancé, but he is changing. Cara Moore is forced to look into a life that was meant to be hers. Will Ada’s House help them realize their hearts’ desires or will it force them to accept what life has done to each of them? Living out her passion for teaching, Lena Kauffman’s work is suddenly interrupted by a series of pranks and accidents targeted toward her and her students. When tragedy strikes her dear friend Grey Graber’s family on school property, the school board begins to blame her for the trouble. As grief and confusion take their toll on Grey and Lena’s friendship, they are both forced to face a new reality that may offer the peace and love they each long for. Fleeing a terrible mistake, Sylvia Fisher dedicates herself to saving the failing Blank farm. When prodigal son Aaron returns, he is surprised by this unusual farmhand who opposes all his plans. Will Aaron and Sylvia’s unflinching efforts toward opposite futures mask the bigger picture—a path to forgiveness, grace, and the promise of love? This three-in-one collection includes the entirety of the best-selling Ada’s House trilogy, now at a new low price! Hope Crossing is a wonderful three full size books by Cindy Woodsmall. I love anything Cindy Woodsmall writes so I was thrilled to get this trilogy. The Hope of Refuge, The Bridge of Peace and The Harvest of Grace will keep you reading for many hours. The characters are so believable and realistic that I feel that I have a host of new friends! I love reading books that make me feel that way! I wont go into detail of each book, because many have done that already, but I want to encourage each of you to pick up this wonderful trilogy to read for yourself. And what a bargain it is, to get three books for one low price! If you enjoy Amish stories, you will love this one. The only thing with Ms. Woodsmall’s books, there is always a little different twist to her stories that you will really enjoy! As Andy and Jolene find themselves confronted by difficult choices, will they trust in God’s guidance—or will the allure of their deepening friendship only lead to further temptation? Jolene was anxiously awaiting her marriage, only two weeks to go. But that all changed one rainy night when her mother was called out to deliver a baby and both her mom and dad never came home. In order to keep the family together, Jolene did the only thing she knew to do, she put her life into taking care of her siblings. But that meant no marriage because her fiancé wasn’t willing take on Jolene’s family to raise. After 10 years, her siblings started getting married, and Jolene meets Andy Fisher, and the sparks started flying. But Andy had problems of his own, so there was no way the two could make a go of it. This is the most amazing story! At first, I wasn’t so sure, because it was kind of slow and sad for me, but then everything started happening and I couldn’t put this book down! 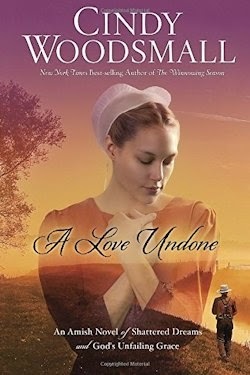 Cindy Woodsmall is an amazingly awesome writer, and A Love Undone is one of my favorite books she has written yet! My heart hurt so bad for Jolene, having to give up her marriage, and I thought she did really well taking care of her brothers and sisters. It was time for her to think about herself when she met Andy Fisher. And it was difficult to read about his wife leaving him years before and he couldn’t marry again because that was the Amish way. But in her amazing storytelling, Cindy pulls this story together, giving readers and ending that will be both a blessing and honor to read! I hope there will me more about this family in later books. If you enjoy Amish stories, you must read this one!! I am sure you will find it awesome! Acclaimed sportswriter Allen Barra exposes the uncanny parallels–and lifelong friendship–between two of the greatest baseball players ever to take the field. 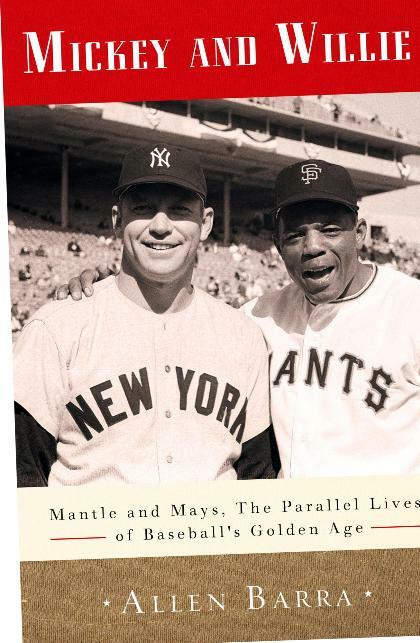 Culturally, Mickey Mantle and Willie Mays were light-years apart. Yet they were nearly the same age and almost the same size, and they came to New York at the same time. They possessed virtually the same talents and played the same position. They were both products of generations of baseball-playing families, for whom the game was the only escape from a lifetime of brutal manual labor. Both were nearly crushed by the weight of the outsized expectations placed on them, first by their families and later by America. Both lived secret lives far different from those their fans knew. What their fans also didn’t know was that the two men shared a close personal friendship–and that each was the only man who could truly understand the other’s experience. I guess this is a book that you either love it or you don’t. For me, I thoroughly enjoyed reading about two of the very best and most famous Baseball players of all times. My love of baseball drew me to this book. Barra takes the lead as he compares the lives of these two men, their personal lives, as well as their professional lives. If you already know a lot about Mickey and Willie, you may not be as enthused as I was, but it was neat to read about how two men, one black and one white, grew up close to each other, both having a history of baseball playing in their families, turned out to be the most amazing men and players of baseball in history. And it is clear that Barra is an avid fan of both Mickey Mantle and Willie Mays and thought of them as his idols throughout his life! I loved this book, and I think it would be an awesome addition of your library if you enjoy Baseball, or if you enjoy reading about hero’s of our time. I’m very glad I had the opportunity to read this book honoring these two men, and I encourage you to pick up a copy to read for you! Fashion is a fickle industry, a frightening fact for twenty-four-year-old model Ivy Clark. Ten years in and she’s learned a sacred truth — appearance is everything. Nobody cares about her broken past as long as she looks beautiful for the camera. This is the only life Ivy knows — so when it starts to unravel, she’ll do anything to hold on. Even if that means moving to the quaint island town of Greenbrier, South Carolina, to be the new face of her stepmother’s bridal wear line — an irony too rich for words, since Ivy is far from the pure bride in white. This is an awesome book, and I just loved, loved it!!! For ten years Ivy Clark has been modeling fashions, and outside beauty is all she knows or cares about. Then Ivy meets Davis and Ivy begins to see that outside beauty is not the really important kind of beauty. 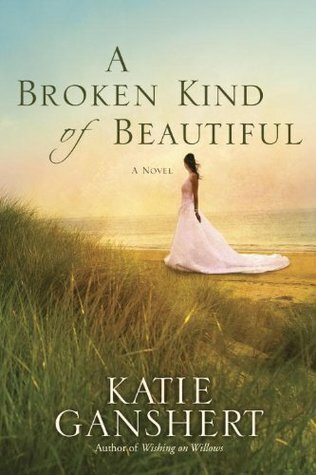 A Broken Kind of Beautiful was sometimes difficult for me to read, because it is full of heartache and difficulties because of what the characters are going through. But author Katie Ganshert does the most fantastic job of showing the love and redemption of God’s grace into the lives of her characters. This is a book that anyone would not only love, but your life will change when you follow the lives of these wonderful characters. I hope you love this as much as I did! I received this book from Blogging for Books to read and review. I was not required to write a positive review. The opinions I have expressed are my own. 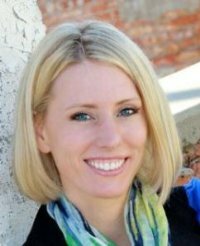 Christy Award finalist, Katie Ganshert is the author of Wildflowers from Winter and Wishing on Willows. She lives in Iowa with her handsome husband, their dinosaur-loving son, and their goofy black lab, Bubba. When she’s not busy writing or playing or reading or snuggling, she is obsessing over the paperwork and the waiting that comes with adoption, which she and her husband hope to complete sometime before they are fifty. Following up on his bestselling diet plan, VB6, the incomparable Mark Bittman delivers a full cookbook of recipes designed to help you eat vegan every day before 6:00 p.m.–and deliciously all of the time. 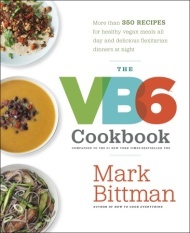 Whether you call it felxitarian, part-time veganism, or vegetable-centric, the plant-based, real-food approach to eating introduced in Bittman’s New York Times bestselling book VB6 has helped countless people regain their good health, control their weight, and forge a smarter, more ethical relationship with food. VB6 does away with the hard and fast rules, the calorie-counting, and the portion control of conventional diets; it’s a regimen that is designed to be easy toa dopt and stick to for a lifetime. When Bittman committed to a vegan before 6:00 pm diet, he quickly realized that everything about it became easier if he cooked his own meals at home. In The VB6 Cookbook he makes this proposition more convenient than you could imagine. Drawing on a varied and enticing pantry of vegan staples strategically punctuated with “treat” foods (including meat and other animal products), he has created a versatile repertoire of recipes that makes following his plan simple, satisfying, and sustainable. Breakfasts, the most challenging meal of the day for some vegans, are well represented here, with a full range of hot cereals, whirl-and-go-dairy free smoothies, toast toppers, and brunch-worthy entrees. Lunches include hearty soupls, sandwiches, beans, grains, and pastas to pack along wherever the day takes you, and more than a dozen snack recipes provide the perfect afternoon pick-me-up to banish the vending-machine cravings that can undo a day of eating well. Dinners are flexitarian, focusing on vegetable-forward meals that are augmented by a range of animal products for fullest flavor, satisfaction, and nutrient density. A chapter devoted entirely to “building blocks”–make-ahead components you mix and match–ensures that a flavorful and healthy meal is never more than a few minutes away. If you’ve thought of trying a vegan diet but worry it’s too monotonous or unfamiliar, or simply don’t want to give up foods you love to eat, Bittman’s vegan and flexitarian recipes will help you cook your way to a new, varied and quite simply better way of eating you can really commit to…for life. I found this cookbook pretty interesting. The idea of eating vegetables, and plant based foods until 6pm, then finish off dinner with a full meal including meats and vegetables is quite intriguing, to say the least. This kind of diet makes it easier on those who have problems giving up foods they love. I really like a lot of the recipes here, and especially the veggie ones because my diet is mostly vegetables. The 350 recipes included in this book help follow this diet plan, as well as the really good tips and ideas of the author. Each meal, including snacks is broken down separate to make it more simple and easy to follow. Mark Bittman does a really wonderful job of researching his ideas and bringing out the facts of what he is saying. I think this is a diet plan that a lot of us could definitely follow. If this sounds like your kind of eating, I highly recommend that you check out this really neat cookbook for yourself. Wow! Just when I think Kim Vogel Sawyer’s books can’t get any better, she blows me away with another awesome one! Boy I felt so sorry for Dinah and the lifestyle she grew up in. Being a prostitute, Dinah’s mother raised her in a brothel, didn’t want or care for her. I can’t even imagine what it would be like. My heart ached for her so much while reading this story! But I did appreciate the cook at the brothel because he watched out for Dinah, and was the only father figure she had! And he was willing to help her with anything! The sad thing about this story it, there are people out there that live in these conditions daily, and reading Through the Deep Waters reminded me of how much I need to be in prayer for these precious young girls. Ms. Sawyer created characters that developed into real people jumping from the pages are I read this book! Even though I wasn’t raised as Dinah, I could feel each heartache she felt, and each struggle she faced. I really got so angry at the brothel owner, the very idea of her acting like she did about Dinah’s mother, and then the unthinkable things she put Dinah through. No one should get by with her actions, and to think that there are people today just like this woman, or worse makes me cringe. 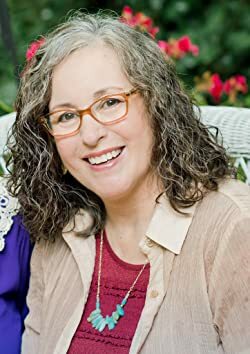 I appreciate Kim Vogel Sawyer writing a book dealing with this horrible issue and I hope that each person that reads Through the Deep Waters will pass the books along, and encourage to pray for precious souls today that live this life. But it doesn’t end there! Mrs. Sawyer gives us the other side of the story too, a story of love, mercy, grace and redemption through out Lord and Savior Jesus Christ! And she takes the feelings and emotions, the past and the present, weaves them together to create an ending that you will not forget! Can you tell I love, love, loved this story! And I will keep this book to pass around to those I love! I highly encourage each Christian to pick up a copy of this book to read for themselves. You will be amazed!